Low-cost airline Norwegian today announced a series of groundbreaking new transatlantic flights from 5 cities in the UK and Ireland, offering passengers low-cost travel to the USA from just £69/€69. 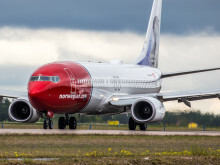 In total, Norwegian will launch 10 new routes with 38 new weekly transatlantic flights this summer from Edinburgh, Belfast, Cork, Shannon and Dublin. 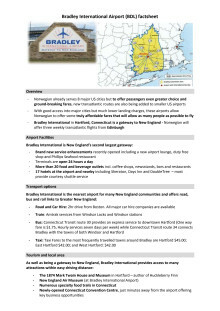 The flights will serve three destinations on the US east coast, with a focus on smaller US airports – these airports offer good access into the New York, Boston and New England areas but carry significantly lower landing charges, allowing Norwegian to offer some truly affordable fares that will allow as many people as possible to fly. The new transatlantic routes will be operated on brand new Boeing 737 MAX aircraft - Norwegian is the European launch customer for this state-of-the-art new aircraft which offers a longer range than existing single-aisle aircraft. Passengers will be able to travel in a fresh and modern single-class economy cabin with hot and cold food options available to purchase onboard. Double-daily transatlantic flights from Edinburgh from £69. 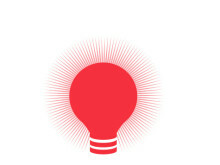 From 15th June 2017, Norwegian will launch new direct services from Edinburgh to three US airports - Stewart International Airport, Providence Airport, and Bradley International Airport - all offering simple and affordable connections to New York, Boston and New England. Fares start from £69 one way. The only direct transatlantic flights from Belfast, with fares from £69. 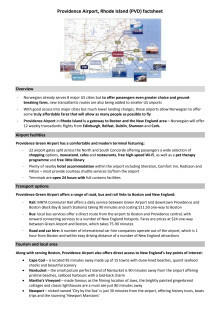 From 1st July 2017, Norwegian will launch direct services from Belfast International to two US airports - Stewart International Airport and Providence Airport - offering connections to New York City, New England and Boston. Fares on Belfast’s only direct transatlantic flights start from £69 one way. 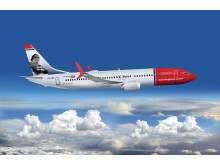 Norwegian CEO Bjorn Kjos said: “We are pleased to announce our new highly-anticipated transatlantic routes. Our new, non-stop service will enable tens of thousands of new travellers to fly between the continents much more affordably. Norwegian’s latest transatlantic offering is not only great news for the traveling public, but also for the local U.S, Irish and UK economies as we will bring more tourists that will increase spending, supporting thousands of local jobs.